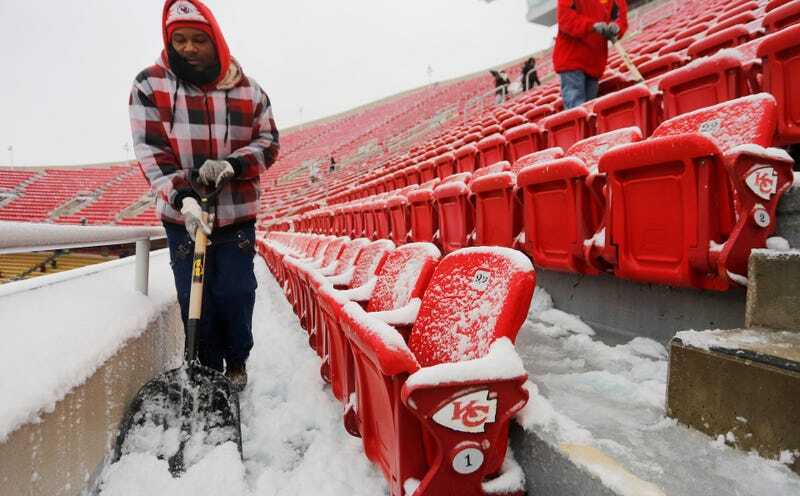 The Chiefs-Steelers divisional round game this weekend has been pushed back from 1:05 p.m. EST to 8:20 p.m. EST, the normal time slot for Sunday night games, due to an incoming ice storm. PERIODS OF FREEZING RAIN WILL OVERSPREAD ALL OF THE AREA BY SATURDAY NIGHT. THE MOST SIGNIFICANT ICING IS EXPECTED SATURDAY NIGHT INTO SUNDAY MORNING.